It was a great privilege to attend the Prime Minister’s Literary Awards in Canberra yesterday. 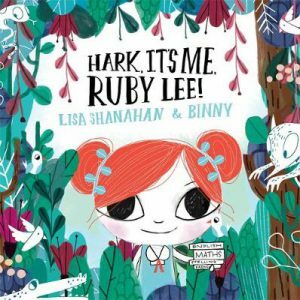 I was on the judging panel of the Children’s and Young Adult categories and we were thrilled with both our shortlisted and winning books. 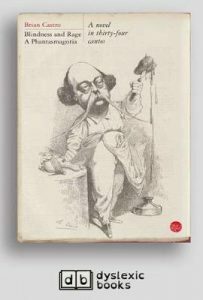 It was wonderful to see the value that Prime Minister Scott Morrison placed on Australian literature in his speech, citing David Malouf’s Johnno, for instance, and the importance of children’s books. All of our Children’s shortlisted authors and illustrators attended as well as a number of our YA authors. It was such a treat to speak with Lisa Shanahan and Binny Talib, creators of the highly engaging and layered Hark, It’s Me, Ruby Lee! (Hachette); and Sarah Brennan and the legendary Jane Tanner (Drac and the Gremlin, The Fisherman and the Theefyspray, Isabella’s Bedroom and There’s a Sea in My Bedroom) – creators of Storm Whale (Allen & Unwin); and the winners of this category – some of children’s lit loveliest and most talented people – Glenda Millard and Stephen Michael King for the stunning Pea Pod Lullaby (Allen & Unwin). 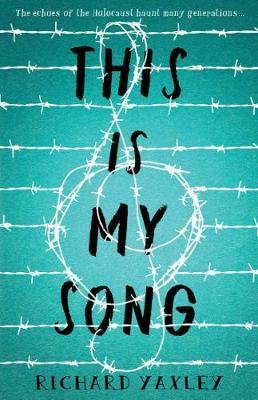 This is a lyrical directive to everyone to care for refugees and anyone needing help. 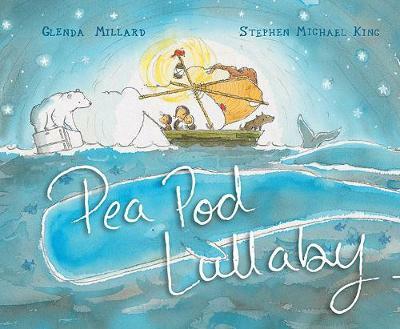 Scholastic Australia was very well represented, with a table full of shortlisted authors and illustrators hosted by p ublisher Clare Halifax. 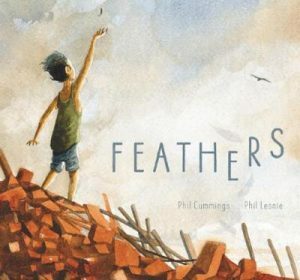 Beautiful picture book Feathers was written by the ever-smiling Phil Cummings (Ride, Ricardo, Ride!, Bridie’s Boots, Boy, Newspaper Hats) and illustrated by Phil Lesnie (Once a Shepherd). 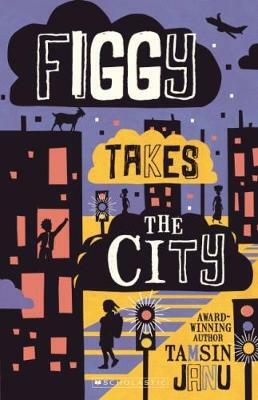 R ising star Tamsin Janu was again awarded for her Figgy series set in Ghana. This time for Figgy Takes the City. Her novel Blossom, about a girl who looks after an alien, was also entered and she has another original work due to be published next year. In the YA category, Bruce Whatley’s extraordinary gra phic novel, Ruben, was shortlisted. Bruce was accompanied by his exuberant wife, Rosie Smith (My Mum’s the Best). 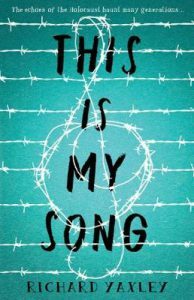 And Scholastic published the winning YA work: the delightful Richard Yaxley’s originally-constructed holocaust novel, This is My Song. 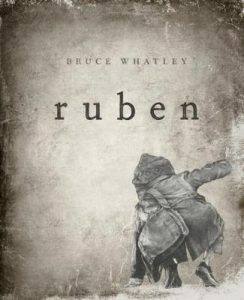 Authors don’t know in advance if they have won so it was an emotional time for all as the winning books were announced. I also loved catching up with some of the poets, such as eminent writer Judith Beveridge; genre-crossing Adam Aitken, shortlisted for Archipelago (Vagabond Press); and Brian Castro who won with Blindness and Rage: A Phantasmagoria (Giramondo) and appropriately read a po em-speech. His prose work, The Bath Fugues, is a personal favourite. 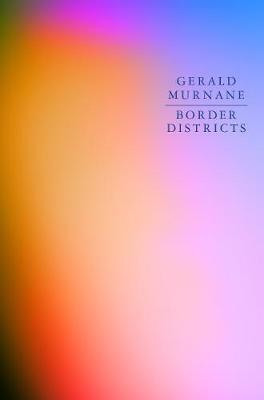 Gerald Murnane, winner of the fiction category for Border Districts (another winner for Giramondo) is known as a recluse. He tried hard to get to Canberra but just couldn’t manage the distance. It is great to see his work recognised further with this prestigious award. The ceremony was a very special and memorable event. Sincere thanks to the awards committee. 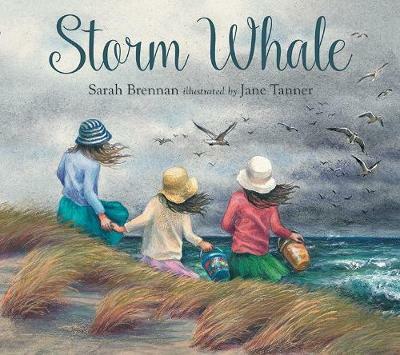 The complete list of winners, shortlisted books and judge reports can be found at the Prime Minister’s Literary Awards website.